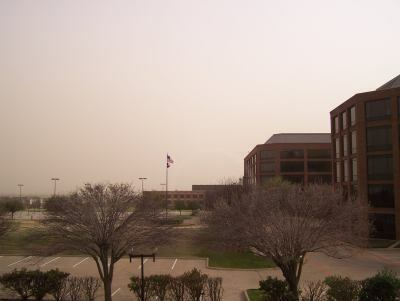 On 24 February 2007, an unusually severe dust storm from the Texas Panhandle blew over Dallas, Texas. 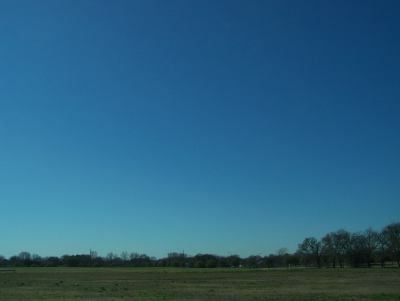 This was the sky in Dallas, Texas, in the early afternoon. 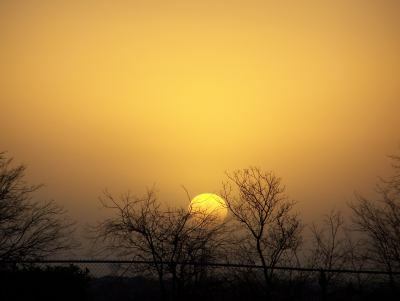 View at sunset, after the dust had somewhat abated. This was the sky in Dallas, Texas, the day after the dust storm--contrast with the top picture above. 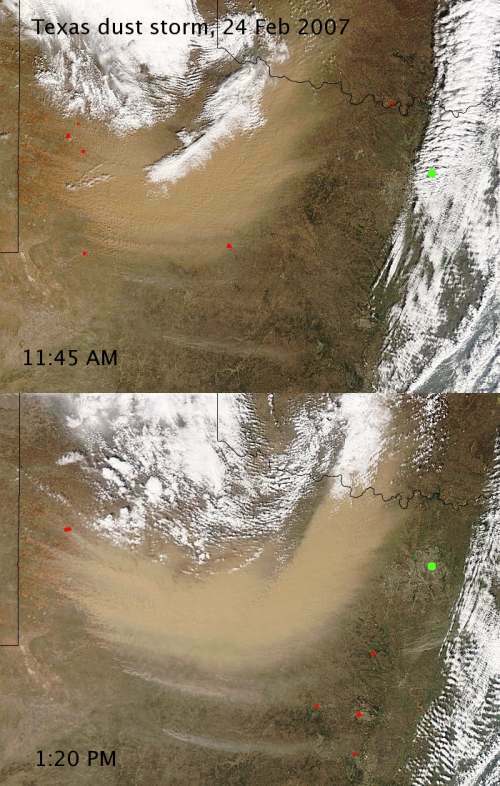 Satellite images of the dust storm approaching north Texas--Dallas is indicated by the green dot. (Credit: NASA/Terra-MODIS). © 2007, 2011 by Wm. Robert Johnston.